New Season in Fortnite Battle Royale! 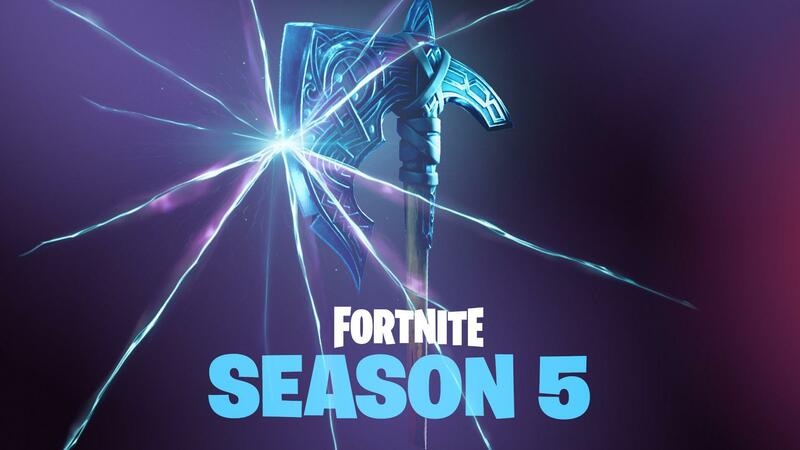 On July 12th at 9am BST, Fortnite Season 5 was released with much anticipation. Some additions were unexpected while other things that were added came out of nowhere. The things that they have added are as followed. The old Fortnite map has been changed quite a bit. For example, Moist Mire has been replaced with Paradise Palms. Paradise Palms is a big open desert area filled with loot and much more. They have also added the new Battle Pass with plenty of new skins, emotes, sprays and a brand new feature called toys. So far there are two toys currently out and these are Golf Balls and Basketballs, essentially these toys are items you can use around the map. Epic Games the makers of Fortnite have placed around plenty of golf holes and basketball hoops around the map for people to hit or shoot the balls into. Another thing that Epic has added are rifts. Rifts are basically portals that you enter which send you into the air to use your Glider (Parachute) to travel to a new spot without having to run or walk there. One of the last major things that Epic has added to Fortnite is Golf Karts. This was one of the biggest surprises of Season 5 as it was not expected. Golf Karts are drivable vehicles that you can use to get around the map which can hold about 1 to 4 people at a time. Vehicles were first introduced in Season 4 when they added Shopping Trollies which was a big step for Epic as they have never done this kind of thing in Fortnite before. Well, that is it for the Season 5 update. Hopefully they add more in the future!